Pop singer Taylor Swift has dabbled in acting before, be it on the small screen or the big screen. But she’s yet to land a major acting role, until now. It was revealed that the pop sensation will be starring in the movie adaptation of the famous musical, “Cats”, according to The Guardian. Reportedly, the 28-year-old will be donning cat ears and whiskers for the role of Grizabella, a sad and lonely cat that has once been a glamourous star. The character sings the hit song, “Memory”, one of the most well-known songs from the musical. If this is true, Swift will be following in the footsteps of Elaine Paige, Leona Lewis and Nicole Scherzinger, who all played the role before in the stage plays. Starring alongside Swift are James Corden, who is expected to play either Bustopher Jones or Rum Tum Tugger; Ian McKellen, who might be playing Old Deuteronomy; and Jennifer Hudson, whose role is unknown but she shouldn’t have any problem tackling any role since she did win a Best Supporting Actress Oscar for her part in another musical movie, “Dreamgirls”. Fun fact: Swift herself is a cat lover and owns two Scottish Fold feline friends, Olivia Benson and Meredith Grey, which eagle-eyed fans would have spotted in a brief cameo in “Deadpool 2”. 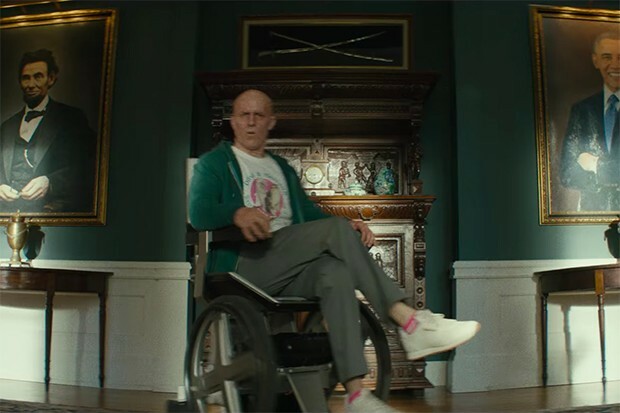 Yes, you have to stare at Deadpool’s shirt to spot Taylor Swift’s two cats. Tom Hooper is directing the “Cats” movie from a script by Lee Hall (“Billy Elliot”). The Oscar-winning director previously helmed the 2012 “Les Misérables”, the Hugh Jackman-starring musical that nabbed three Academy Awards wins. The “Cats” movie is adapted from Andrew Lloyd Webber’s musical of the same name, which in turn is a loose adaptation of TS Eliot’s “Old Possum’s Book of Practical Cats”. The musical ran for 21 years after opening in the West End in 1981, was on Broadway for 18 years and had been translated into more than 20 languages for multiple runs across the globe. It follows a feline tribe called the Jellicles. One night, they have to make “the Jellicle choice”, that is to decide which of them will journey to the Heaviside layer to be reborn into a new life.